SicilySicily is the largest island in the Mediterranean Sea. 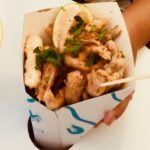 It is an autonomous region of Italy, in Southern Italy along with surrounding ... More is the homeland of street food. Eating with few euros is really easy at any time of the day. You will find many “panetterie” (bakeries), “rosticcerie” or “gastronomie” (places that prepare food you can eat outside or at home), or “chioschetti” (small kiosks) which sell fresh made food. Or you can go to markets and supermarket to find traditional delicacies. Of course you can also take a seat in a traditional Trattoria, or, why not, treat yourself in a gourmet restaurant. 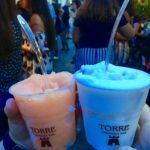 Whatever you choose, here is my personal list of what you must absolutely try at least ones in SicilySicily is the largest island in the Mediterranean Sea. It is an autonomous region of Italy, in Southern Italy along with surrounding ... More. Here is something that is really amusing. 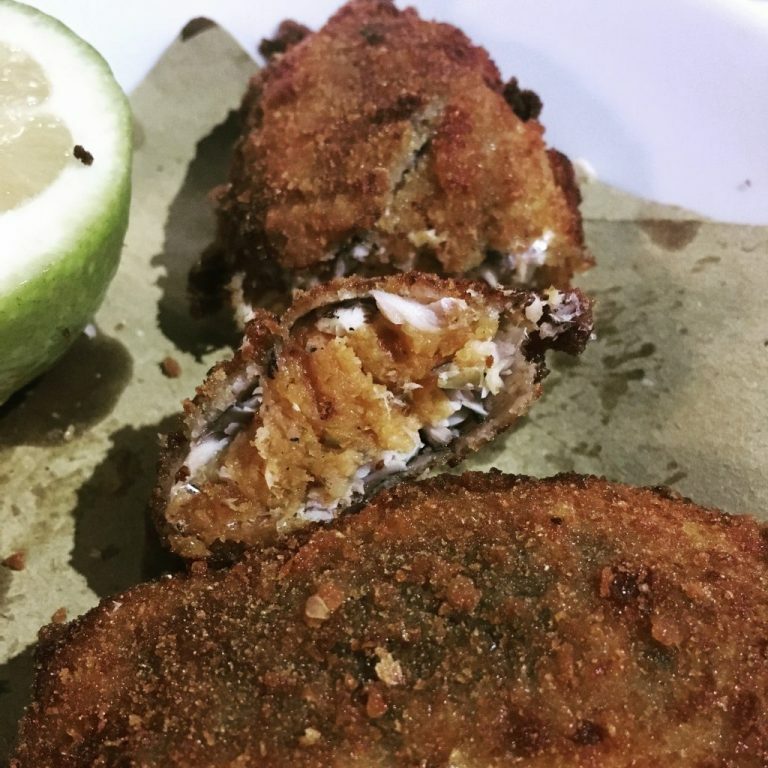 If you are in Palermo, or the western side of the Island, you must ask for an ArancinA (plural ArancinE). It is feminine, because according to the people of Palermo, this delicacy has the shape of an orange, and the orange in Italian is AranciA, feminine, while its tree is AranciO, masculine. But if you go to the eastern side of the Island, Catania for instance, you must ask for an ArancinO (plural ArancinI) and it is masculine. I do not know why, and I find really funny how Sicilians get angry when they start arguing about the gender of this dish! Be prepared to be corrected if you ask the ArancinO/A in the wrong side of the island. Anyway, the only thing that matters is that it is good, in every province, town or village, wether they call it ArancinO or arancinA! ArancinI are balls of rice with a heart of ragù (a sauce of tomatoes and meat), cheese, ham, speck…it can be made in a lot of different ways. The round one in the photo is prepared with pistachio, a typical produce of the town of Bronte. Originally prepared for Carnival, this sweet is a roll of fried dough, called cialda, filled with goat ricotta cheese. Even if you can find it all year round, this remains a cake for Winter months. The goat, in Summer, is used for reproduction, and when it gives birth its milk cannot be used. 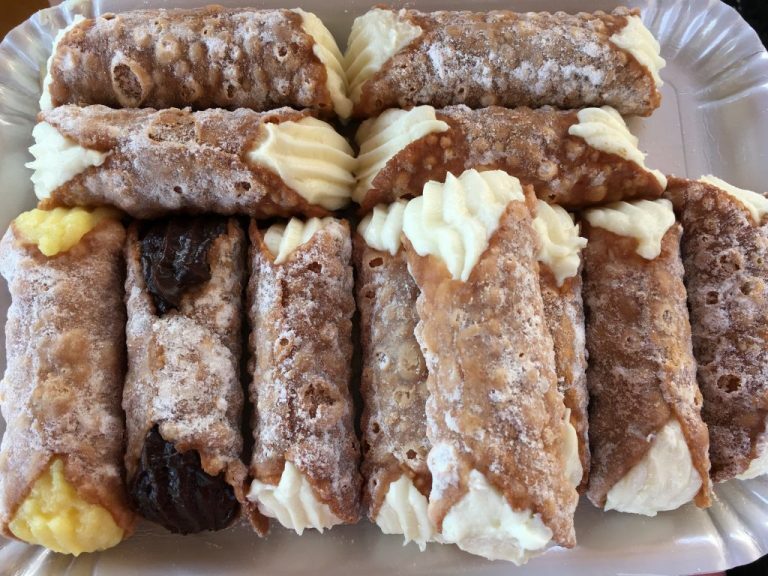 So, what you find is a cannolo prepared with ricotta that is made mainly with cow milk. It is fantastic as well, but for the real cannolo you should visit SicilySicily is the largest island in the Mediterranean Sea. It is an autonomous region of Italy, in Southern Italy along with surrounding ... More in Winter. Cannoli can also be filled with chocolate or cream, ice-cream, pieces of chocolate and guarnished with candied or dry fruit. Sugar and fruit, with grated ice, are the only two ingredients of this dessert. The traditional one is with almonds or mulberries (in Italian gelsi),but for the latter only in June and July. If you find mulberry granita in September, be aware that is not prepared with the fresh fruit but with a liquor or extract. Granite are sold in every corner of every street, beach bar, cafeterias or fancy restaurants. The cost can vary from 1 to 3/4/5 euros. 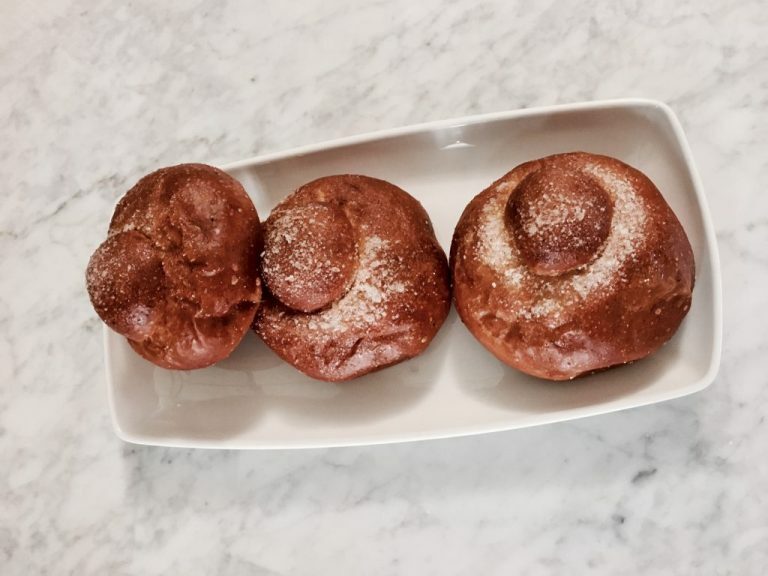 It is called brioche col tuppo because the shape reminds the “chignon” that Sicilian women used to wear. And this hair bun in Sicilian is called tuppo. This brioche is soft and perfumed and has to be tasted when it is still warm. The traditional breakfast at the cafeteria is a granita with brioche. But it can also be salty and eaten with cheese or cold cuts. 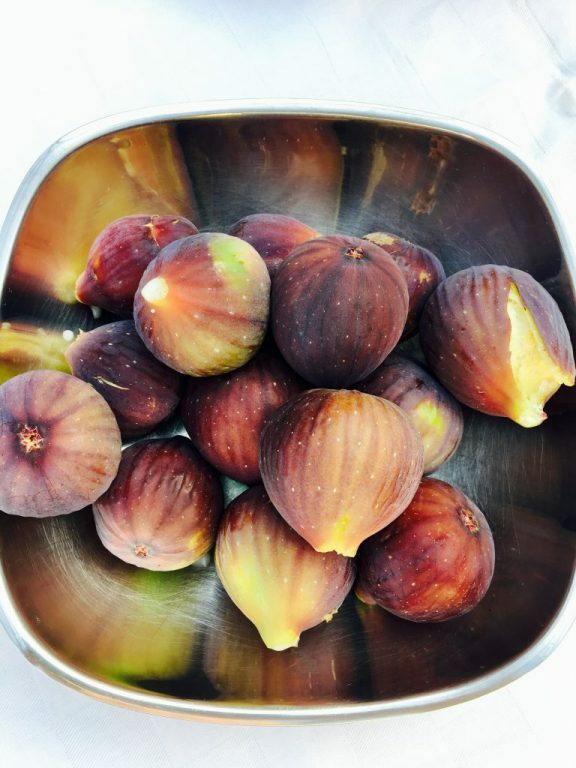 Figues grow all around South Italy, and in SicilySicily is the largest island in the Mediterranean Sea. It is an autonomous region of Italy, in Southern Italy along with surrounding ... More are extremely sweet. You can find them in markets and supermarkets. They can be used for making jam or paired with ham. I simply adore them. 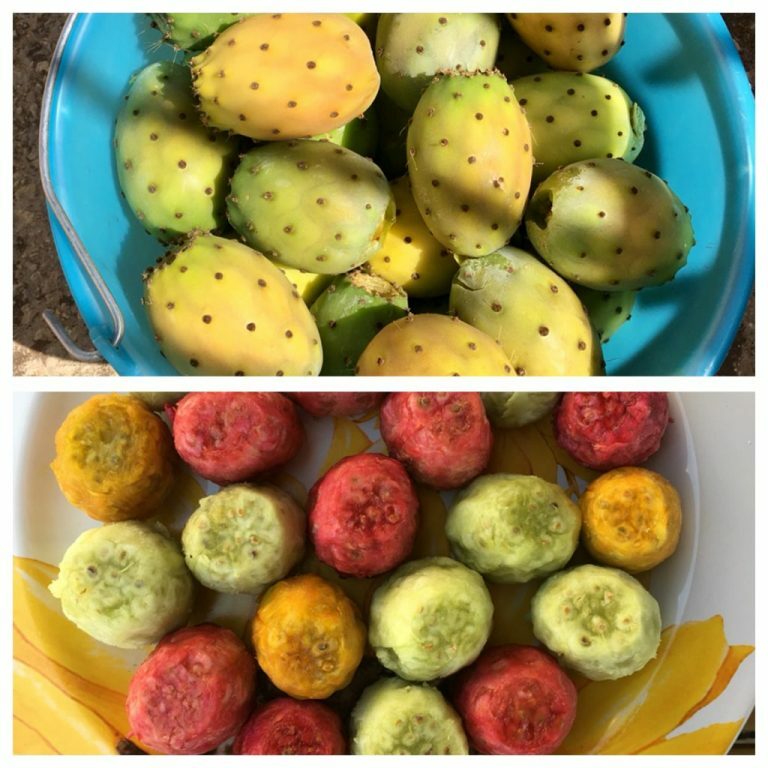 This fruit grows everywhere in SicilySicily is the largest island in the Mediterranean Sea. It is an autonomous region of Italy, in Southern Italy along with surrounding ... More. You can find plants even along the streets. Because of the the thorns that cover its skin, it is not easy to pick and peel it. But you can find counters in markets that sell fichi d’India already peeled. Try to taste all the colours to decide what you prefer. Personally, I love them all. I have discovered Pane Cunzato while reading “La Cucina del Buon Gusto” by Simonetta Agnello Hornby, a writer from SicilySicily is the largest island in the Mediterranean Sea. It is an autonomous region of Italy, in Southern Italy along with surrounding ... More who has become a British citizen. Unfortunately the book, whose title can be translated as “the kitchen of good taste”, is only in Italian. It describes the tradition of both SicilySicily is the largest island in the Mediterranean Sea. It is an autonomous region of Italy, in Southern Italy along with surrounding ... More and England and begins with the description of this kind of bread. Cunzato or Cunzatu in Sicilian means “condito”, dressed. In fact, it is a slice of bread guarnished with many different ingredients. You can find simple pane cunzato with oil and salt, or added with cheese, tomatoes, cold cuts, olives, tuna fish, just to name a few. This delicacy is made of sardine rolls filled with breadcrumbs, pine nuts, raisins, orange juice and sugar. The rolls are then covered with breadcrumbs and fried. The recipe can vary from village to village but it is generally a sweet and sour dish. It is called Sarde (sardines) a beccafico (cooked as a garden warbler) because it was once a poor dish that tried to replicate a noble course prepared with the bird that fisherman or farmers could not afford. Neonato in Italian is the newborn. In this case it refers to the newbies of different kinds of fish like anchovies, sardines, red mullets. 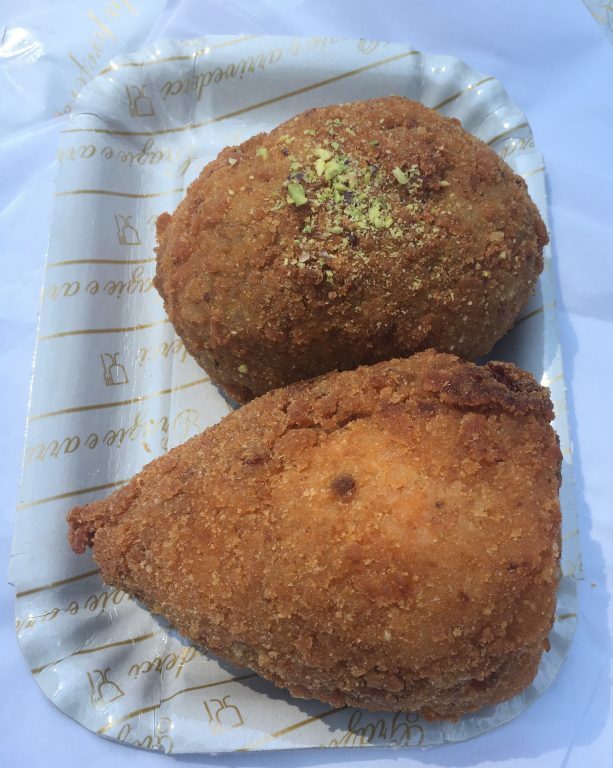 Like for ArancinE/I, the term can be masculine in Catania, and feminine in Palermo. So, in Palermo, where it seems it comes from, you can find it as pastaHistory of manufacturing Pasta manufacturing machines were made since the 1600s across the coast of Sanremo. 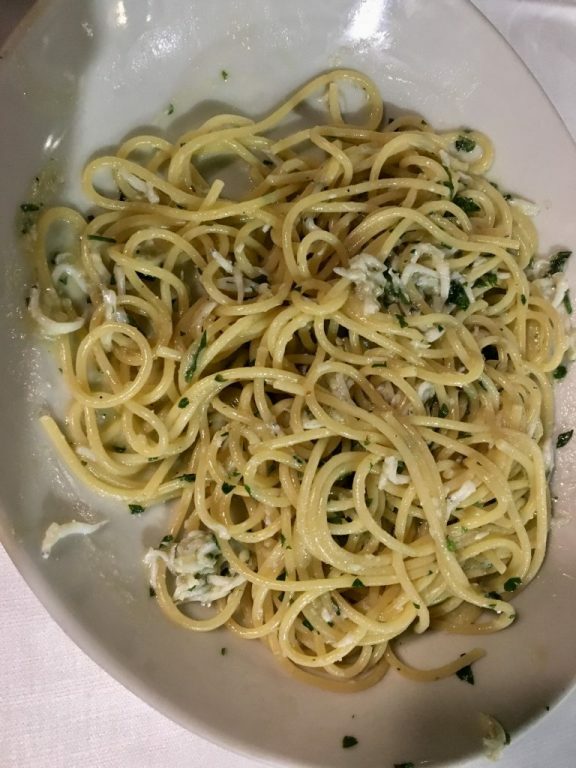 The extrusion press produced la... or spaghetti con la NeonatA, or Nunnata in dialect. And finally the queen of the Sicilian Cuisine: the Cassata. 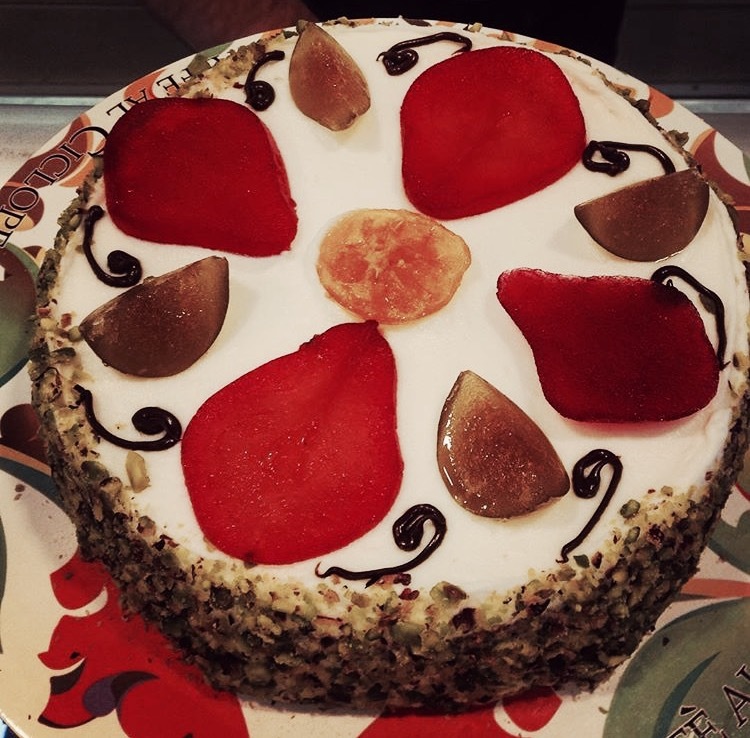 This cake is mainly prepared with ricotta cheese, in particular that of goat. So, like cannoli, it is mainly a Winter cake. 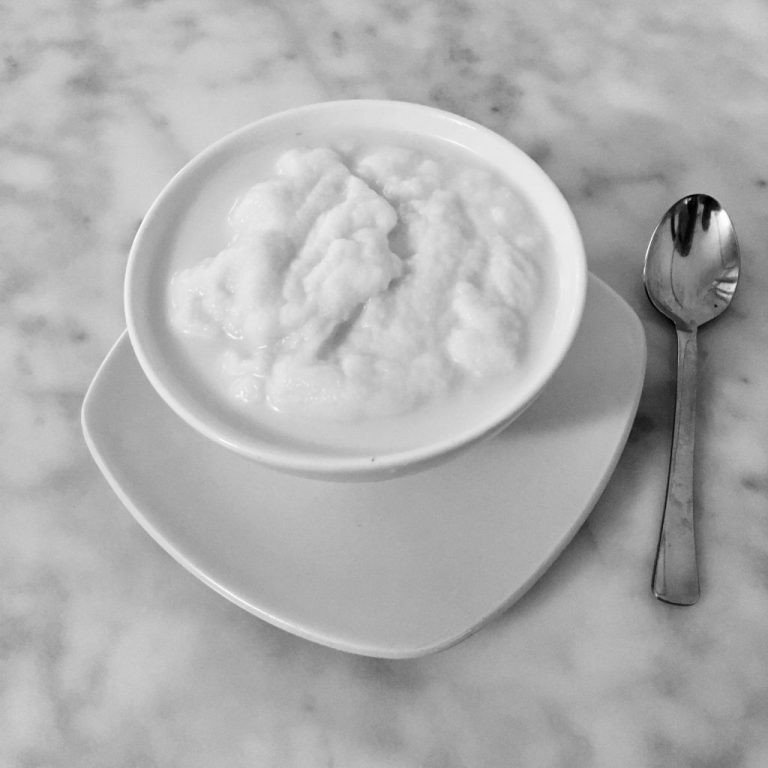 But you can find it all year round, with ricotta prepared with the milk of cows. It can contain pieces of chocolate, dried or candied fruit, pistachio nuts or almonds. It is a pleasure for the palate but also for the eyes. Every pastry shop displays their best cassate on their counters. It is almost impossible to resist them. 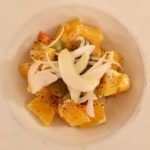 I know, this post is entitled 10 things one must try in SicilySicily is the largest island in the Mediterranean Sea. 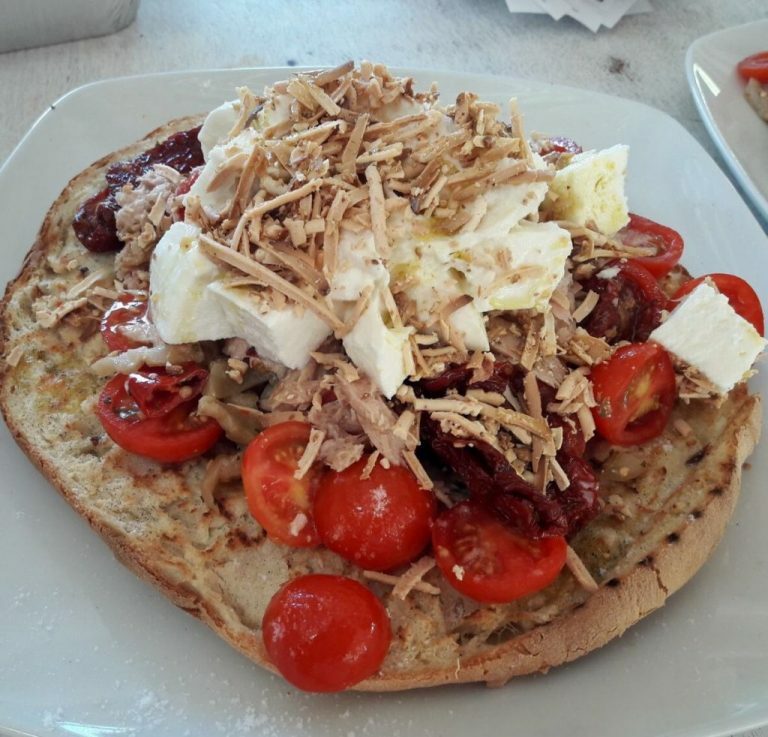 It is an autonomous region of Italy, in Southern Italy along with surrounding ... More, but it is almost impossible to include only ten delicacies. And I must at least write about this sweets that look like fruit but are totally made of almond paste. 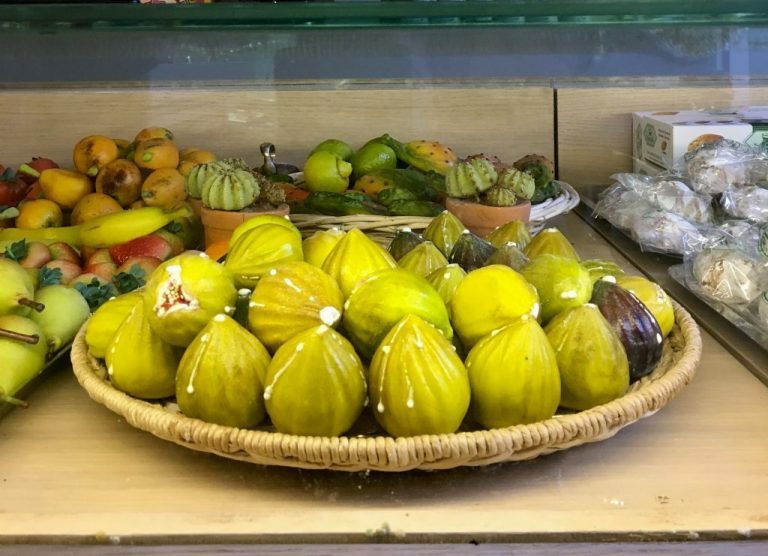 Original from Palermo, the name originates from that of a Church, these sweets are colourful, and, in the best pastry shops of the island, they really look like figues, pears or lemons. You can also find fish or vegetables shaped Martorana fruit. The taste reminds that of marzipan, but it is generally more sweet. Among all the things I have listed, the Martorana sweets are the only one you can easily bring home as a souvenir. The question is, will you have the force to give them to family and friends or will you keep them for yourself?